All of Europe at your feet! 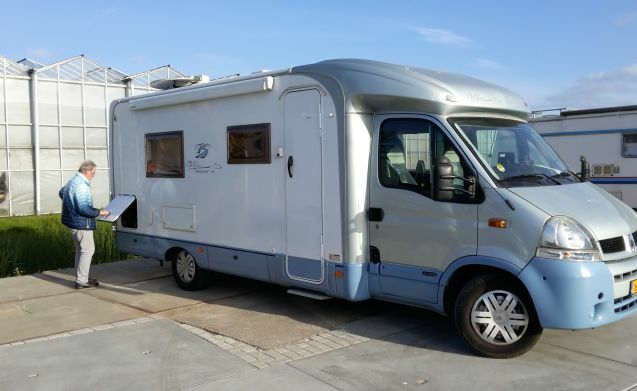 We are becoming novice but very enthusiastic motor home owners. 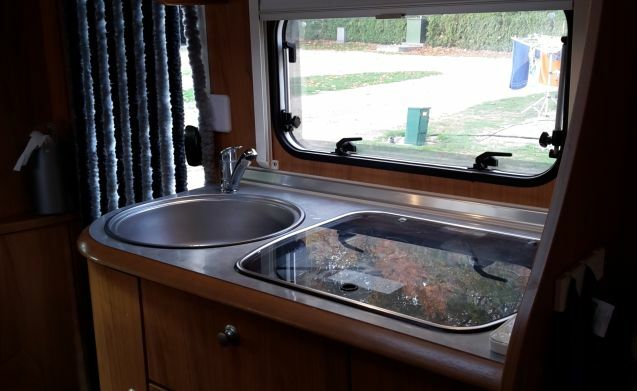 We have in 2016 switched from a caravan to this beautiful Bürstner 700 .. We have made a number of trips in Europe with two, but also together with our children and grandchildren (eg own caravan or camper or with a trailer tent). 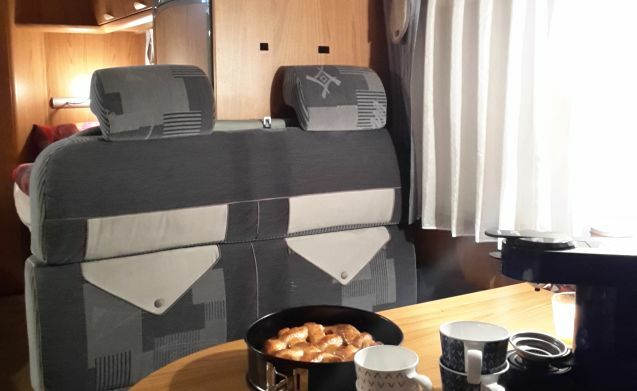 We are very satisfied with the highly efficient, luxurious interior of the camper. 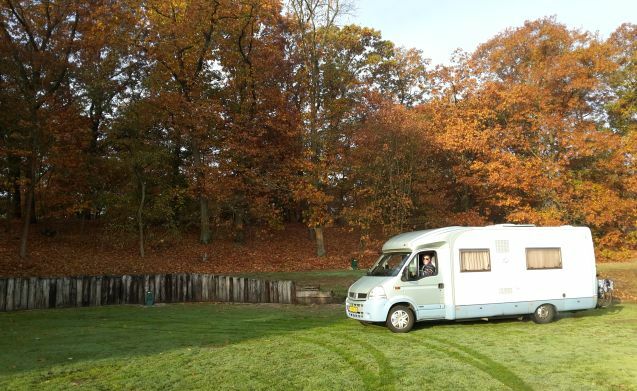 We ourselves are very careful and careful with our camper and naturally expect our tenants. 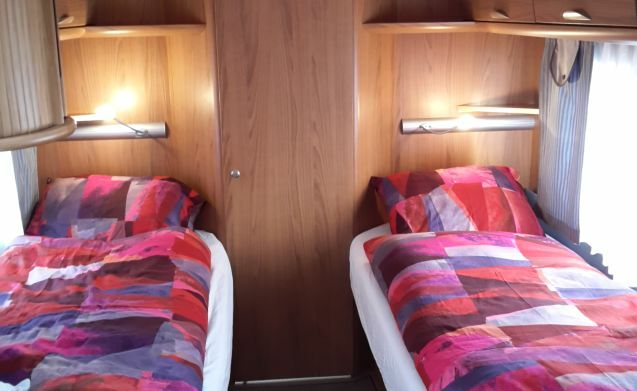 This practical Bürstner motorhome offers sleeping accommodations for 2 adults, single beds, and even seats 4. The beautiful interior has a cozy train seat with 2 safety belts, so fellow travelers can enjoy a nice outing during the ride. The pilot seats of the driver and the co-driver can be turned to the cabin. In order to eat in the camper, the table has a cantilever bottom. If desired, there is also a 2 person tent with large air mattress available. That makes for a fun adventure for the children at the campsite and a bit more privacy for the parents. 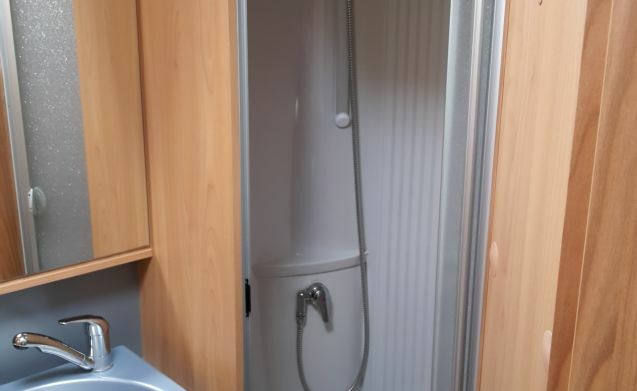 Everything is there: fly curtain, ring heater, hot water boiler, spacious shower with toilet and washbasin and a large fridge, a separate freezer that works on both 12 Volt and 220 Volt and gas. 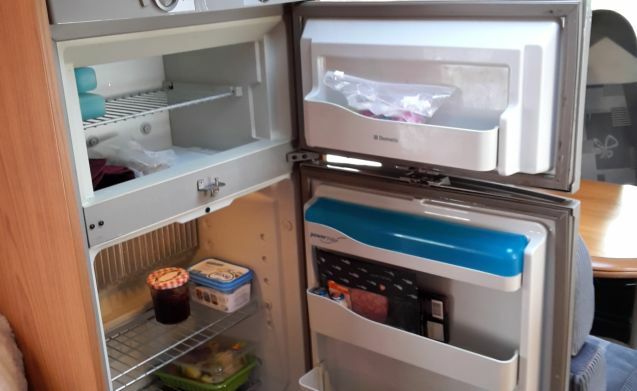 A grill oven Sufficient crockery, cutlery, pans and other cooking and baking utensils are standard and a Senseo coffee maker, so a delicious cup of coffee is not missing on the trip. Go and relax and watch TV once in a while. This can be done both in the cabin and on the bed, because the TV can be turned on both sides. In almost all of Europe with about 56 channels of Canal Digitaal by means of the fully automatic dish antenna. If there is nothing on the TV, there is also a blue-ray player available. For hot days there is a large, strong fan suitable for 220 volts. For your safety, the camper has a fire blanket, fire extinguisher and a safe and a first aid kit. plus sign-removal set. Under the driver's seat is the warning triangle and a rain suit. For outside there are 2 luxurious chairs with separate leg supports; 2 ordinary folding chairs and a large (100 x 76 cm) and adjustable table for outdoor dining plus a canopy. There is a towbar where possibly a trailer; a caravan or a boat. A bike carrier, for the towbar, is standard for 2 bikes. A scottle braai with a paella pan and a grill plate and some cozy games are also part of the camper. Of course there are also 2 safety vents in the cabin and 2 alcohol tests are mandatory in France. There is a Garmin navigation available with special camper software, with up-to-date maps and live traffic information for the whole of Europe. A color reversing camera has been installed for the driver. supplemented with a solar panel. 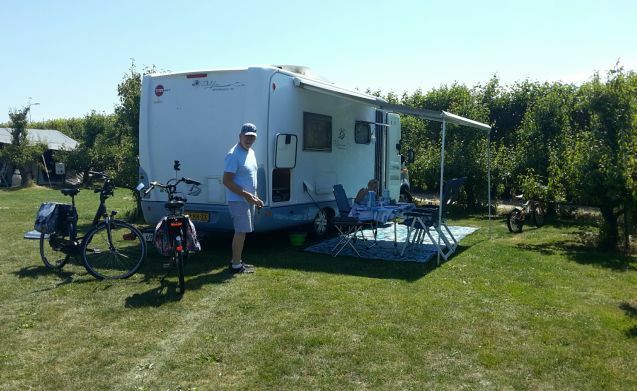 In the two years that we have the camper we have already seen a lot. In 2017 the Costa Brava, via the Provence and Monaco, the Riviera of Flowers, Cinque Terra, Lake Maggiore, Switzerland and Germany. In 2018: North Holland, Scotland, England and Wales ,, Zeeland, Spain to Benidorm, Arcen and Otterlo. So it is really enjoying with our beautiful reliable Bürstner. For next year, at least a round of Poland is on our agenda. You get the camper clean, and so we expect him back. 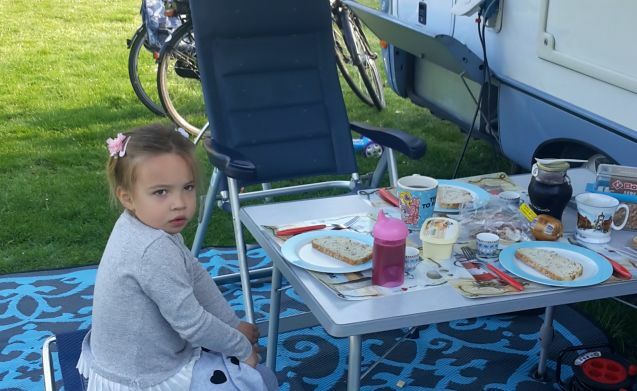 If the camper is not handed in cleanly € 75, - will be charged. 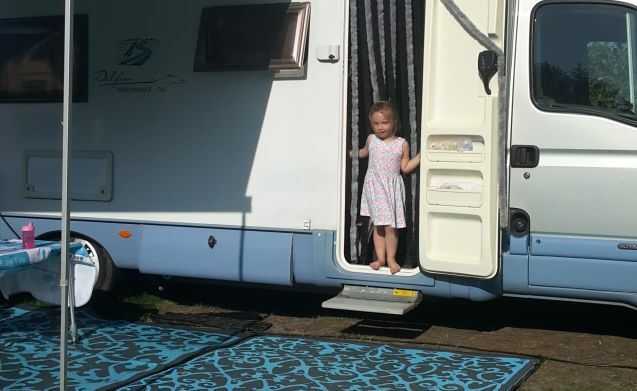 3 weeks in advance we will send you all the information you need to go with our camper, we do this digitally so you have enough time to ask any questions.